Apple was just awarded a patent for a "plenoptic" or light-field camera, much like the one that Lytro started selling a couple of years ago. This is the type of technology that enables you to refocus photos after you've taken them. It would also seriously take iPhone photography to the next level. The patent for a "Digital camera including refocusable imaging mode adaptor" is pretty neat. 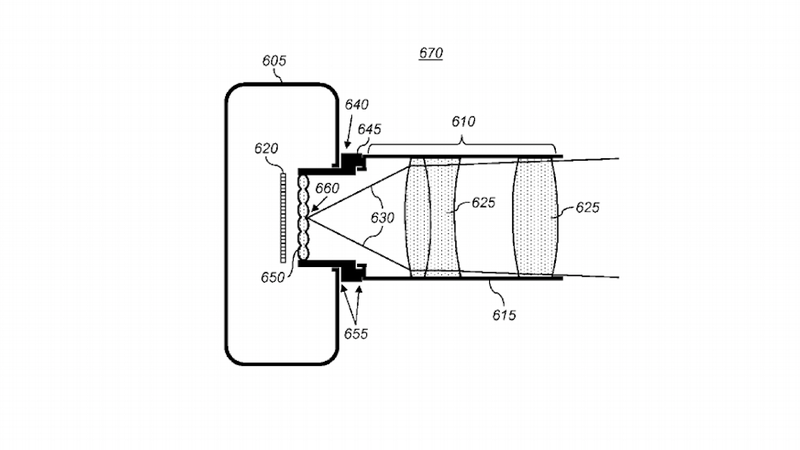 Like other plenoptic cameras, Apple's new technology uses an adaptor holding a microlens array that can be engaged for low resolution, refocusable images. It works by capturing the entire field of light around the camera, then breaking it up using the microlenses. Software can then be used to focus or refocus the image. Without the adaptor in place the camera takes regular high resolution images. In a number of ways, Apple's interest in plenoptic cameras is not surprising. Before his death, Steve Jobs actually called Lytro founder Ren Ng and asked him to come up with three things he thought the two companies could do together. That even led to rumors that Apple was considering buying Lytro, although that obviously never materialized. It seems clear now why; as the patent was filed several months after the meeting, Apple apparently decided to set out on a parallel path.